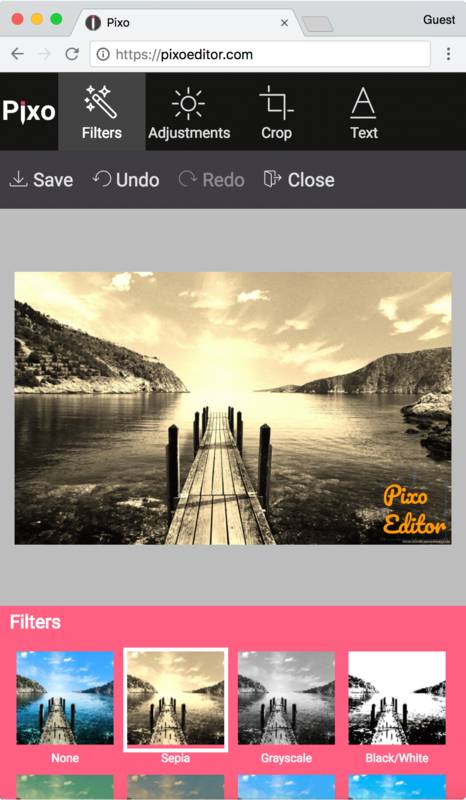 Pixo is a full-featured image editor available for integration into any web app. 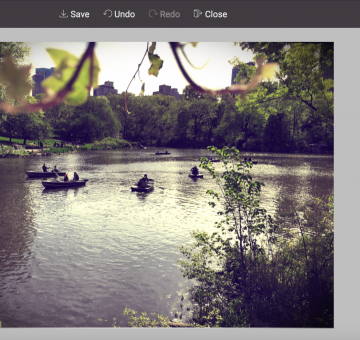 It is a great alternative of the popular Aviary editor. 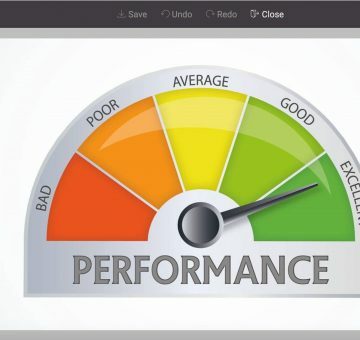 It supports basic editing such as applying filters, adding text, crop, rotate, etc., as well as more advanced editing such as adjusting RGB, brightness, contrast, hue, saturation, and more. Pixo supports all modern browsers and is available both for desktop and mobile. Pixo offers similar API to Aviary, hence becoming great replacement of it. Test Pixo with your favourite images and see it in action! Follow our blog and get informed about our coolest latest features!